McFalls Creek reminds me a lot like Purgatory Creek in the Montgomery County; a very small stream, that looks like nothing would live in. There are a few holes throughout McFalls Creek, but those are very few and far between. Sight fishing, using a very lite weight rod with a dry/dropper will be your best chance in the stocked portions of the creek. I have heard from several reliable people that if you hike up to the shelter where the stream begins that there is some really good wild brook waters. 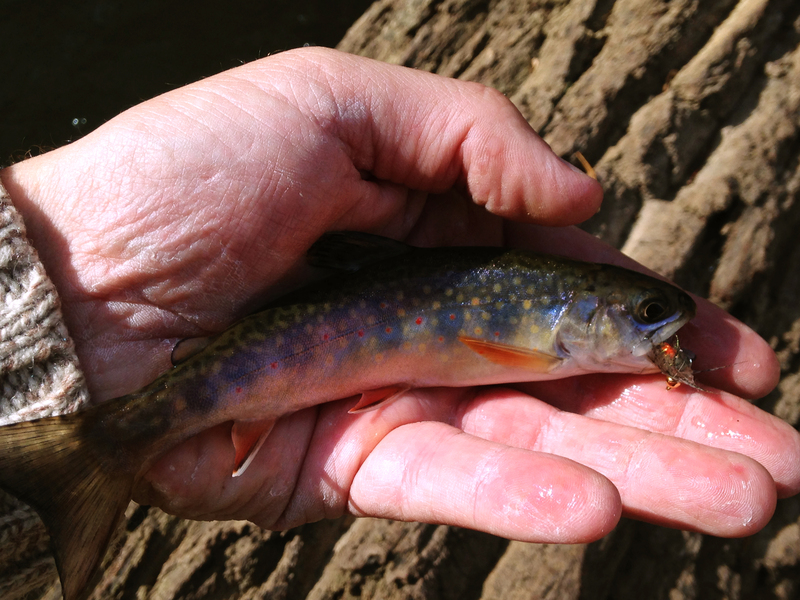 This does not surprise me in the least, almost every stream in this area have some wild brook trout in them. 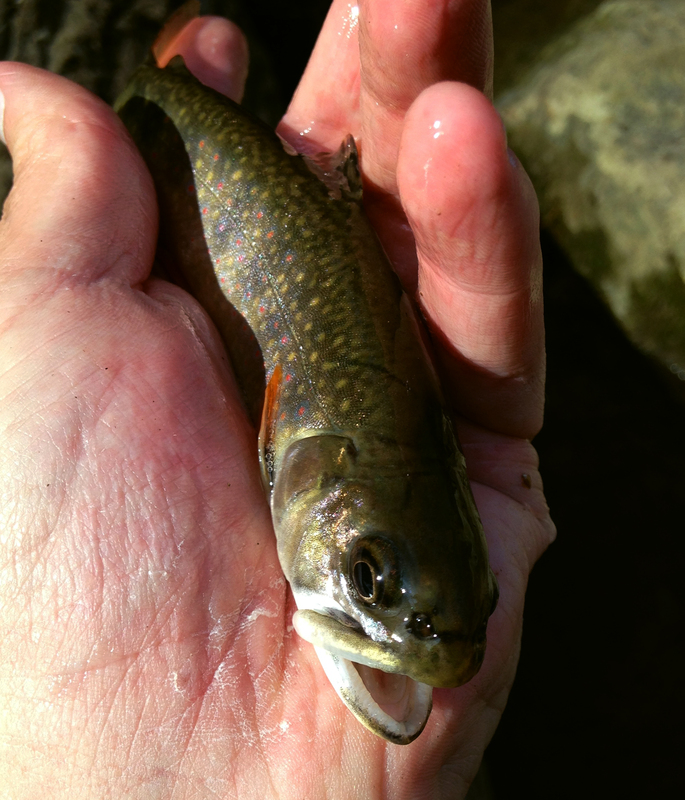 However, because I am lazy and didn’t hike up to the shelter, I can neither confirm nor deny the existence of these wild brookies. Maybe one day I will take a day off and go up there. But it is hard to fish McFalls when North Creek is so close by. Additional Notes: There are very few pull over spots, if you find one you better make sure that you are completely off the road. The road to McFalls Creek is a single lane dirt road, yet people (including myself) still speed up and down it. North Creek is one of the few streams that I can rank up there with Roaring Run and Little Stoney Creek. It is an amazing stream year round; during the stocking months you can find some very large brook and rainbows, but the real treat is fishing the Special Regulations waters. At almost every large hole you will find a tremendous amount of wild rainbow and brook trout, these fish hit with reckless abandonment. The downside is that this is a very popular spot for hikers, so fish with caution; you might not even know someone is behind you until you hook them. Additional Notes: There are several parking areas throughout the stream, but if you do not see one where you want to fish, there are several pull off spaces. Make sure you get off the road completely, after you reach the special regulation area the road is only a one lane road. Middle Creek is not a stream for the faint of heart, or if you are out of shape. 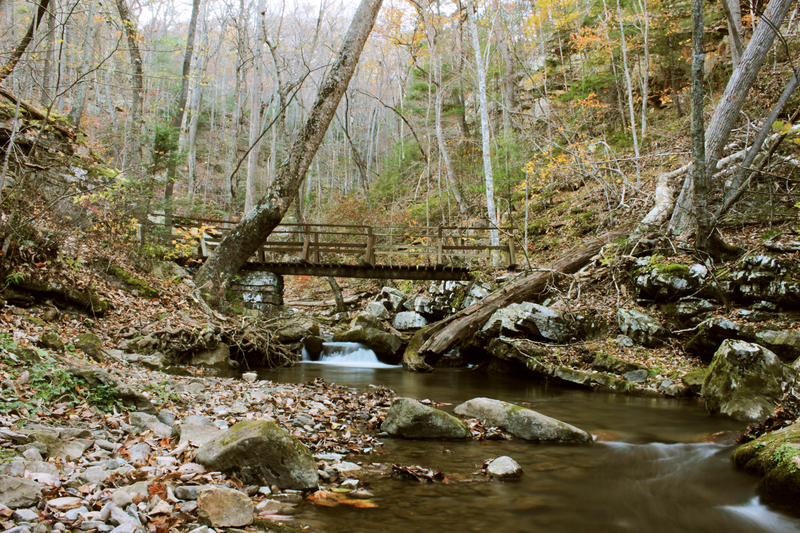 This creek rolls through a very deep gorge from Jennings Creek up to the a small camp ground. From there it gets a little bit easier to fish, unfortunately the upper sections gets heavy fishing pressure. I would not recommend this stream to anyone, unless you are prepared to climb over boulders and are able to hiking through some very rugged areas. During the summer times this stream gets very low, so I wouldn’t even bother with it, instead go to North Creek. Additional Notes: There are several parking areas throughout the stream, but if you do not see one where you want to fish, there are several pull off spaces. Make sure you get off the road completely, cars drive fast on this road and it is very curvy. 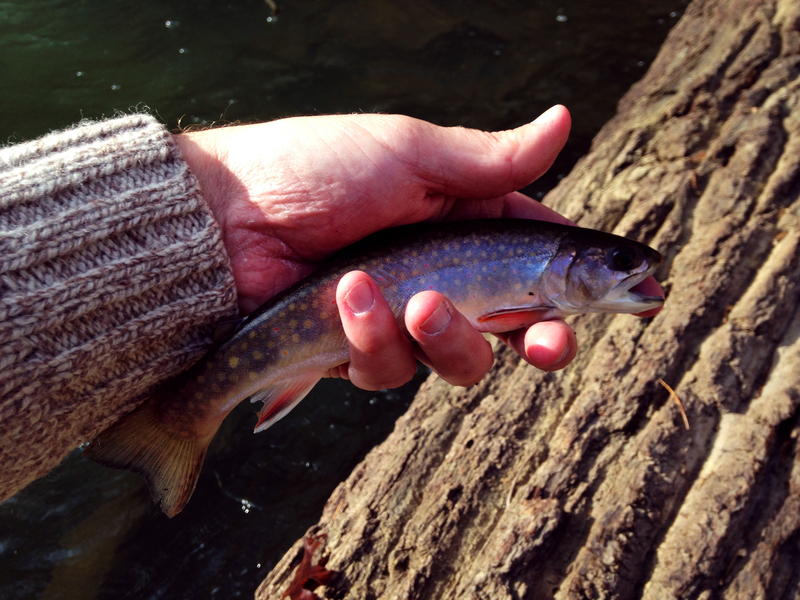 Jennings Creek might be one of the best places to fish within the Roanoke area. It is one of the few areas that the State of Virginia actually stocks brown trout still, not to mention they also stock tremendous sized rainbow and brook trout. The down side to this stream is that everyone knows about it, so it gets fished out very, very quickly. However, if you do not mind combat fishing, this is a must for anyone in the Roanoke area to explore; deep pools, long runs, you name it, Jennings Creek has it. Honestly I can not recommend this stream enough. If by chance all of the holes are occupied by other anglers you have North Creek, Middle Creek, Miram Creek, and Mcfalls Creek all right in the area. Make sure you are fishing deep in the deep holes, longer than normal leaders and tippet. 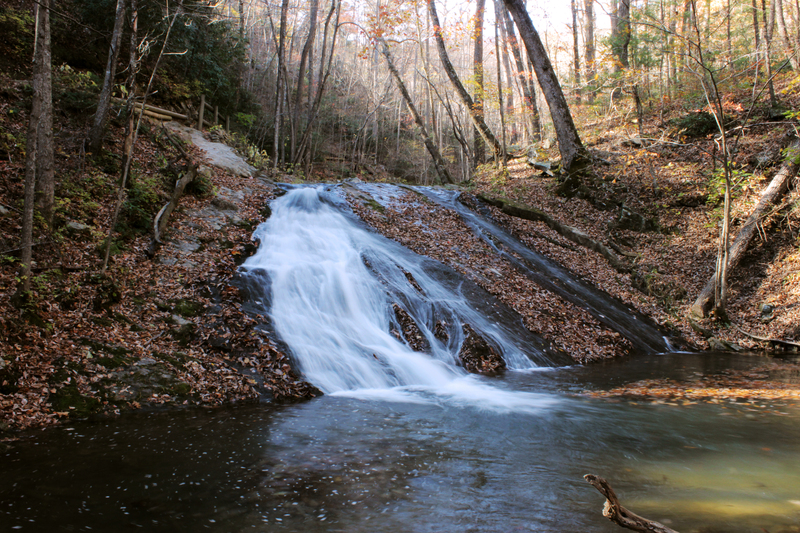 Roaring Run is very similar to Little Stony Creek in Giles County, not only in the way the stream flows but also because of its native trout population and its friendliness to fly fisherman. The difference between the Little Stony Creek and Roaring Run is that Roaring Run is not an easily accessible stream, because of this it does not receive the same traffic as Little Stony Creek. Also Roaring Run still receives stocking from the state of Virginia, some of the fingerling trout are apart of Trout Unlimited’s “Trout in the Classroom” program. From what I have learned Roaring Run used to be a very heavily trafficked stream for both spin fishermen and fly fishermen, even now it’s special regulation water is known for its trophy trout water. However only one citation or ”trophy trout” was caught in the 2013-2014 season according to Virginia’s Department of Game and Inland Fisheries website. From what I have personally seen the trout in this stream are far from what I would call trophies, though there are several areas that could easily hold trophy trout. So here comes the problem with planning; when going to Roaring Run prepare as if you were going to Little Stony Creek, bring a small fly rod (7’) that you can easily cast with under brush and rhododendrons. However make sure that your fly rod is at least a 5 weight with a 4 to 5 weight tippet and leader, any smaller you run the risk of losing any trophy trout you encounter. For the most part you will only encounter five to ten inch trout. Also you should choose which style you are going to fish before starting to fish, personally I like to dry fly fish from the parking lot up to falls, from there I like to switch to nymphs back to the parking lot. I only use streamers in the larger holes. Besides the distance from any major cities Roaring Run is a fantastic stream. Just remember this fact, make sure you have enough gas to get there and back, take plenty of food, water, and definitely make sure you take a med kit. Cell phone service here is very spotty, if you are using GPS to get to Roaring Run make sure to print off directions back to where you started or back track using the directions below. Take Main Street to US-460 E. Once on US-460 E continue until you reach I81 N. Continue on I81 until you reach Exit 150B US11-N/Us-220 N. Once on US-220n continue for 27.9 miles the turn left onto State Rte 615. Continue on State Rte 615 for 5.5 miles then turn right onto State Rte 621. 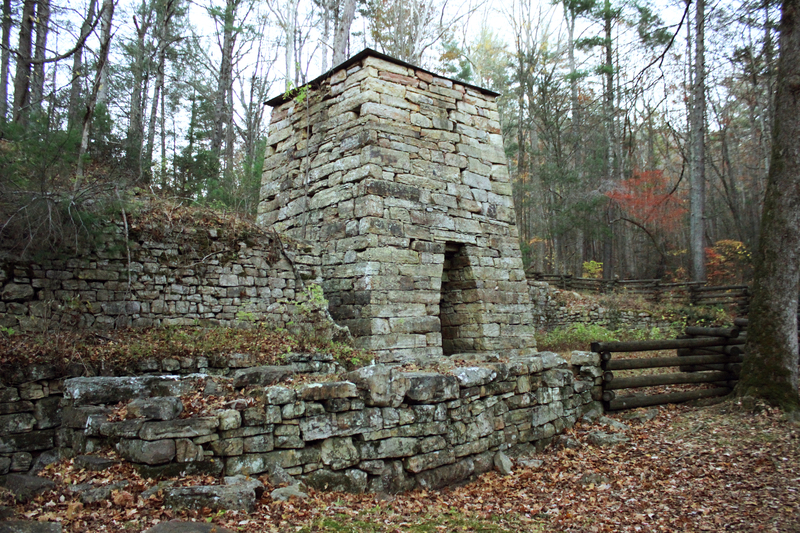 Roaring Run will be approximately be .3 miles on you left. Take I81 to Exit 150B US11-N/Us-220 N. Once on US-220n continue for 27.9 miles the turn left onto State Rte 615. Continue on State Rte 615 for 5.5 miles then turn right onto State Rte 621. Roaring Run will be approximately be .3 miles on you left.